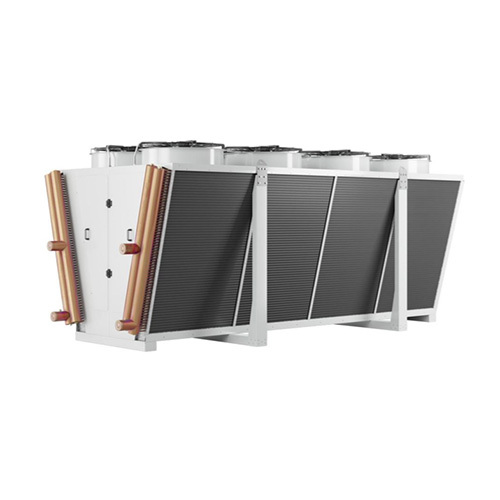 ALTHERMO remote condensers are ideal for use in the industrial air conditioning sector, as well as industrial and commercial refrigeration. The frame components are made of galvanized steel, powder coated with a coverage of 80 microns, guaranteeing C4 corrosion resistance. All the fastening elements are in AISI 304 grade stainless steel. The finned coils are built with the most suitable shape, tube diameter and fin pitch, depending on the configuration, so that each device can achieve maximum power per unit of volume and occupied surface. 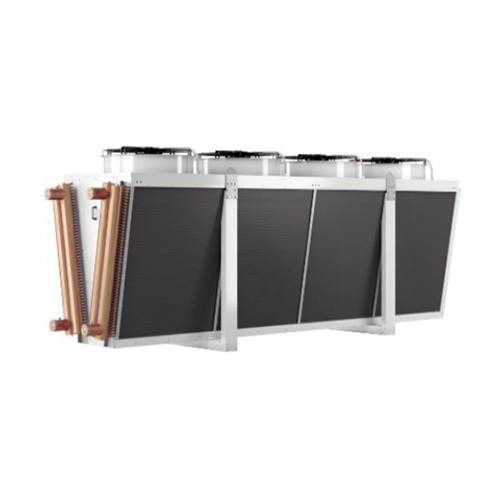 The modular frame models CMI, CMVand the Round Condensers models CMR use microchannel technology for the coils which maximize the cooling capacity and reduce the refrigerant charge by 70%. The standard fans used are brushless EC to ensure compliance with current and future regulations ERP2020, as well as optimal performance levels, efficiency and noise emissions. 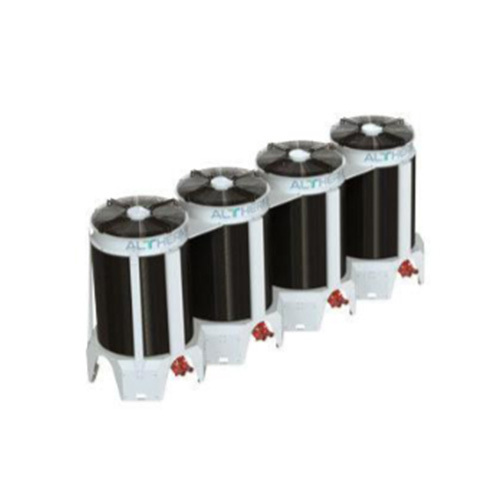 Three-phase and single-phase AC fans are also available. 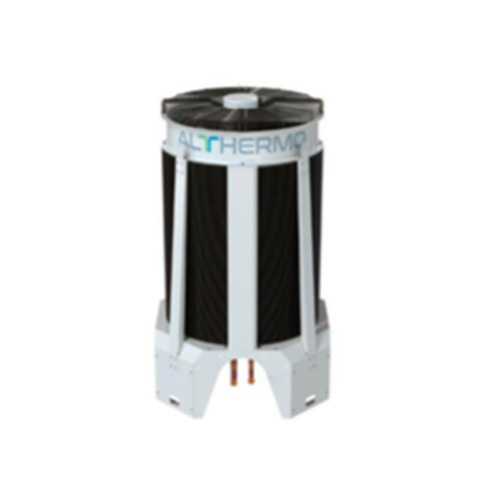 CMR is the innovative modular remote condenser with round microchannel heat exchangers provided by Althermo. 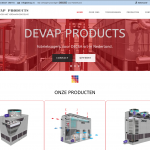 It has been designed to meet a demanding market which is increasingly focused on the reduction of the refrigerant charge, on the constant optimization of installation space and on the reduction of delivery times. 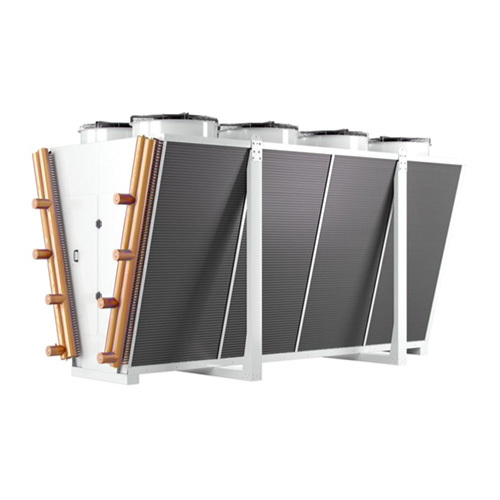 Thanks to its innovative configuration, the CMR remote condenser allows to eliminate many limits that can be found with traditional condensers. The modular construction allows incomparable installation flexibility. The CMR modules can indeed be moved and installed with remarkable savings in logistic costs. Delivery times are dramatically reduced as well, down to 3 working days. The CMR condenser can be equipped with 800 mm or 910 mm EC fans and speed regulator, and the microchannel coil is treated with protective epoxy coating. 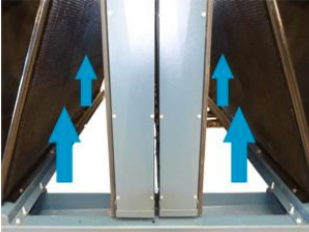 In addition to this, the internal volume of the microchannel coil is 60% lower than common round tube plate fin heat exchangers with the same capacity. of its microchannel heat exchangers, guarantees the same power as much larger devices which must be transported on flatbed trucks, and high cube or open top containers. Of all the V-Shape devices, the Great model is the one which guarantees the greatest power. 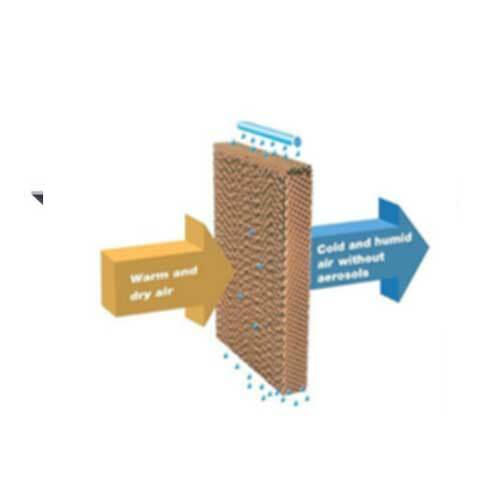 The Althermo construction system (ATF) guarantees the greatest resistance during transport and installation. 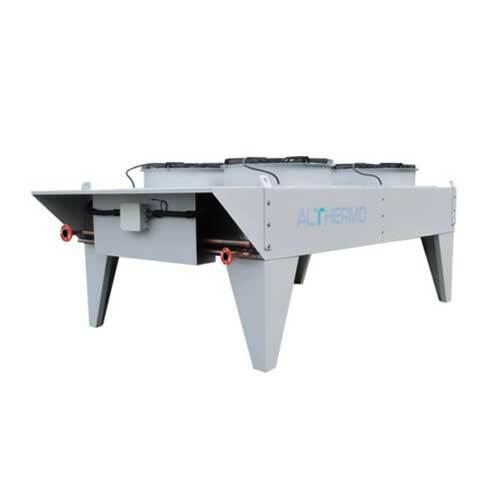 The Intermediate model is configured for transportation by standard lorry or container and is a good compromise of power and ease of installation. The main feature of the Small model is its size which makes it suitable for low visual impact installations. With a maximum height of 2085 mm and a single row of fans, it guarantees high power in minimum space. 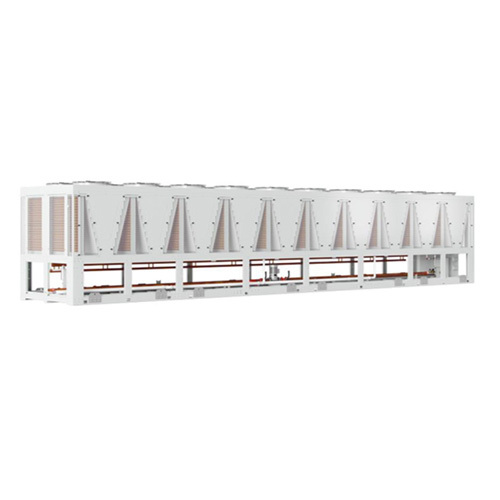 The single coil remote condenser family has a very wide power range and the HV bi- flow design means the same device can be installed both with vertical air flow and horizontal air flow. This feature gives the designer greater flexibility.